I can unequivocally say that I never thought I would hear this sentence come out of my mouth, but I LOVE scrambled tofu. It has become my favourite vegan breakfast recipe. Like many people that transition to a plant based diet, I was not a tofu fan by any stretch of the imagination. But I am slowly coming around. 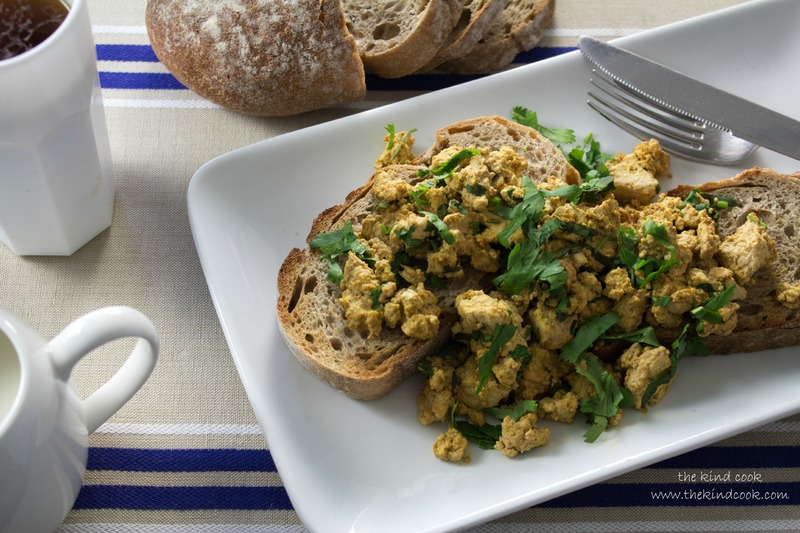 If you have never had scrambled tofu, do yourself a favour and try it before you decide you don’t like it. There are many versions of it, but after much experimentation this is my favourite combination of flavours. I honestly use to think people were bonkers for trying to replicate scrambled eggs but it turns out they weren’t. Bring the water to the boil in a non stick pan. Turn the heat down to a simmer and crumble the tofu into the pan. Cook gently until the tofu is heated through and almost all the water has gone. Add the tamari, nutritional yeast and curry powder. Stir till everything is well combined and continue cooking on a low flame until you get the texture you want. *Some people like their scramble wet, in which case you would serve it now. For a drier texture, continue cooking for another minute or so. Notes: If you don’t have tamari you can substitute it with soy sauce. Nutritional yeast is an inactive yeast that makes things taste cheesy. You can find it in health food stores and online. For a super Sunday Scramble I love adding some chopped roasted potatoes, roma cherry tomatoes and fresh spinach to my scramble. Serve it alone or with baked beans, mushrooms and veg sausages.